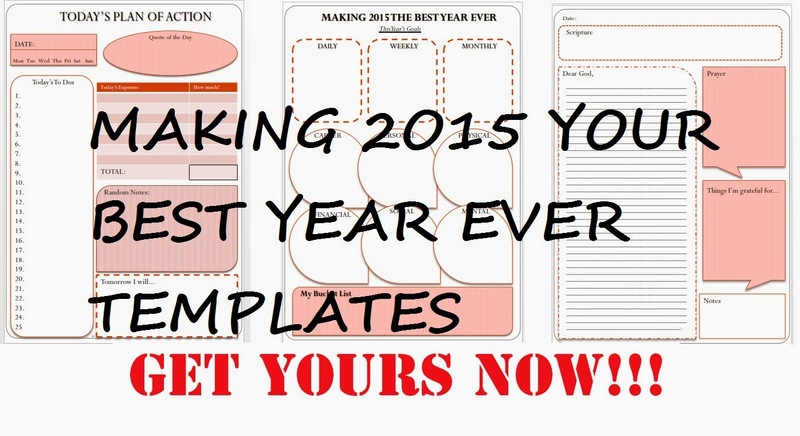 You still have a chance to get the Making 2015 Your Best Year Ever eBook together with the Making 2015 Your Best Year Ever Templates!!! All for FREE. All I need is your email and I will be very glad and excited to email the free copies to you! A 25-page PDF about basic personal finance knowledge that could help you make your 2015 the best year ever. It’s filled with SavingsPinay’s Tips and Tricks that you can always rely on to keep up with your financial goals. 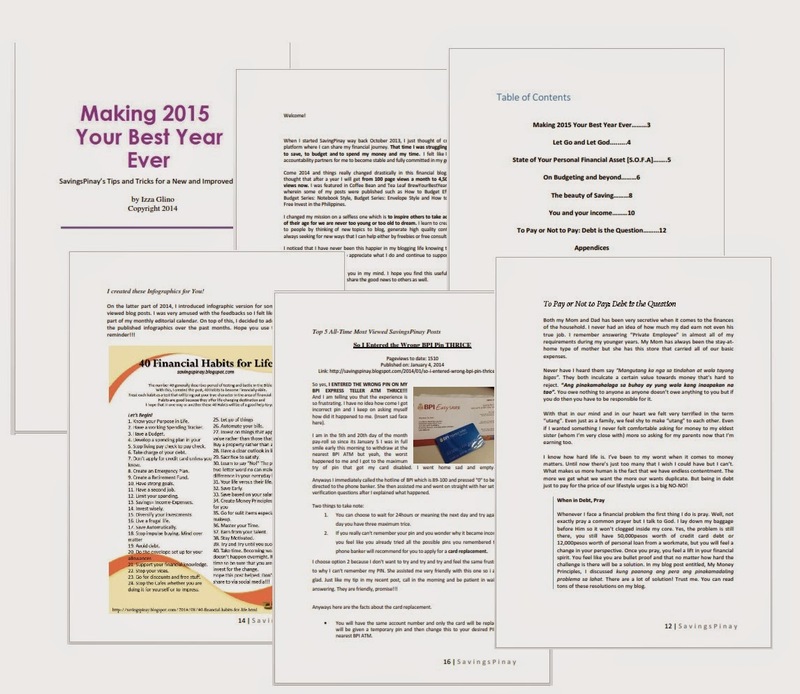 The Making 2015 Your Best Year Ever Templates include a To-do List, Yearly Goal and Journal Entry!!! You can use these templates to further increase your productivity!!! If you are already part of my email list, you have got the eBook by now since I started sending it out last Friday, November 21. If you still find it hard to be part of my email list then just fill out the form below or email me anything at izzaglinofull@gmail.com.